ITS ALL HAPPENING ON INSTAGRAM. HKN music's emerging music star 'Danagog' recently released 'KOBA'; an uptempo street hop single which featured Lil Kesh. Since its release - KOBA has gained enormous airplay across radio and TV stations in Nigeria & has since become a Nigerian club favorite in America. 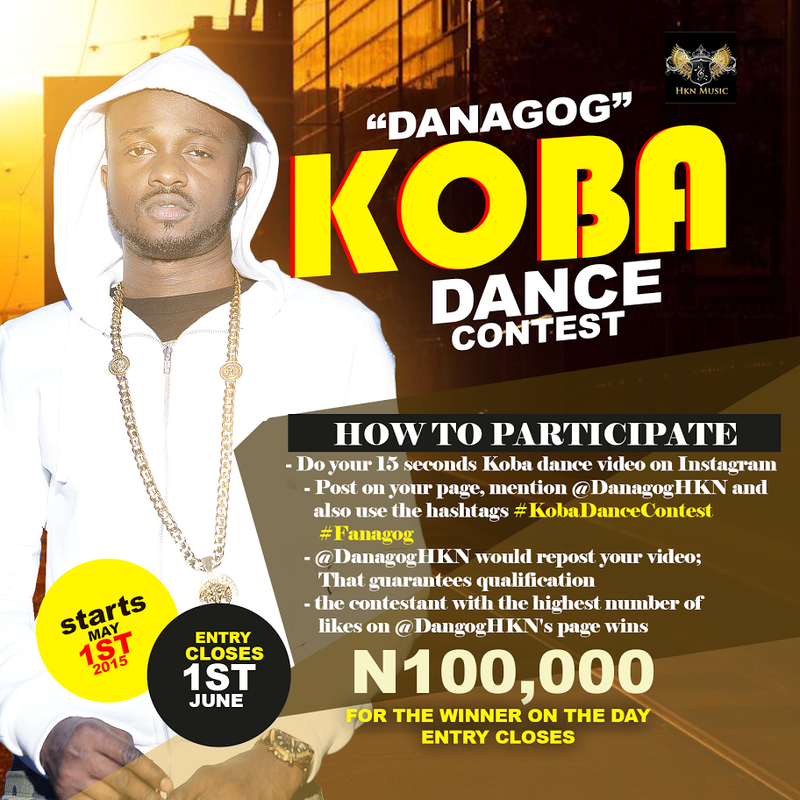 Danagog is giving away ₦100,000 amongst other cash prizes to his fans. * Get The Highest Likes On His Instagram Page & You Win! Entry Starts on 1st May and Ends on 1st June, 2014.